In mSupply, we have the idea of a 'name'. A name can be a customer, a supplier, a patient, … or a donor. A donor is the organisation that has either paid for, or somehow managed the supply of certain items. A donor can also be a supplier and / or a manufacturer or they can be just a donor. mSupply allows for any combination of that. 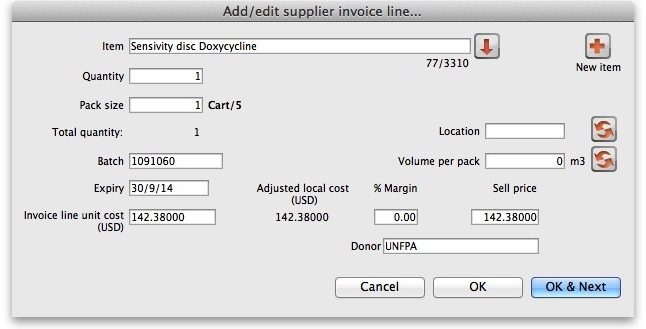 mSupply allows you to specify the donor for each incoming stock line independently of the supplier. For example, GlobalFund might agree to supply certain malaria medicines, and then contract a supplier to deliver them to you. mSupply allows you to record this accurately, and to track and report on all the stock and transactions relating to those medicines donated by GlobalFund. Once you have done this you can add donors and track stock by donor. You can edit a donor by double-clicking on it. Now add your donor details and click OK. 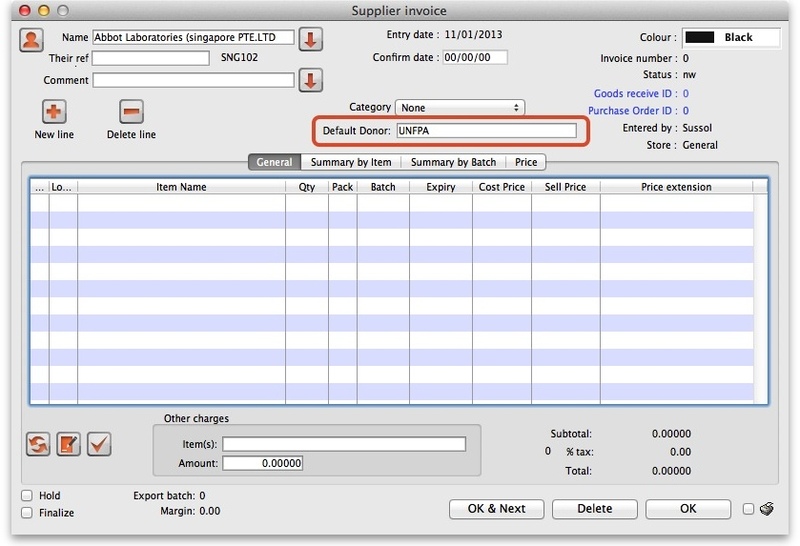 Create a Purchase Order in one of the usual ways - refer Ordering Items From Suppliers. With donor tracking turned on, the Donor field will appear in the window - see below. The value you enter here will be tracked from this point on through to receipt, stock transfers and dispatch. If your donor does not exist, you can add it at this point by clicking on the New button - see Adding or Editing Donors above. Add your Item line(s), check your order is correct and click the Confirm button to make the order available for Goods Receipt in the normal way - see Ordering Items From Suppliers for more details. Each stock line on a Supplier Invoice will inherit the Default donor from the Supplier Invoice. The Default donor can be edited. There may be circumstances when delivered stock may be from a mix of donated and non-donated, or from different donors. You can change the donor for any stock line on a supplier invoice when editing the details of the stock line (double-click on the stock line). “Do nothing”: The change will have no effect on existing invoice line(s). 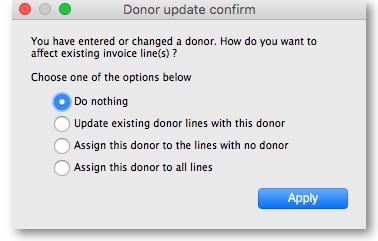 “Update existing donor lines with this donor”: existing donor lines will be updated to match the newly selected donor. 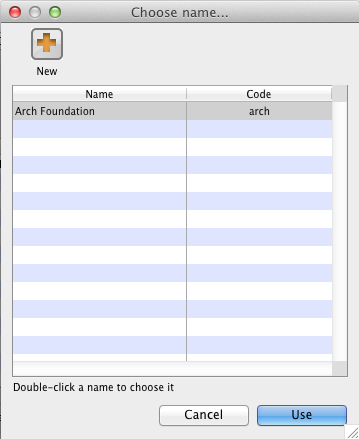 “Assign this donor to the lines with no donor”: lines with no donor selected will be updated with the newly selected donor. “Assign this donor to all lines”: all lines will be updated with the newly selected donor. Customer Invoices, including stock transfers for donated goods are created in the usual way - refer Issuing Goods to a Customer (Customer Invoices). mSupply will still suggest a stock line according to its selection criteria (primarily, FEFO). You will need to manually select the donated stock line if it is not the first expiring! Obviously, one of the points of entering all this donor information is to be able to report on it. When the donor tracking preference has been turned on, many of the stock based report filters in mSupply will have an additional donor filter added to them. Simply enter the donor filter settings you need, as appropriate, to filter the reports accordingly.